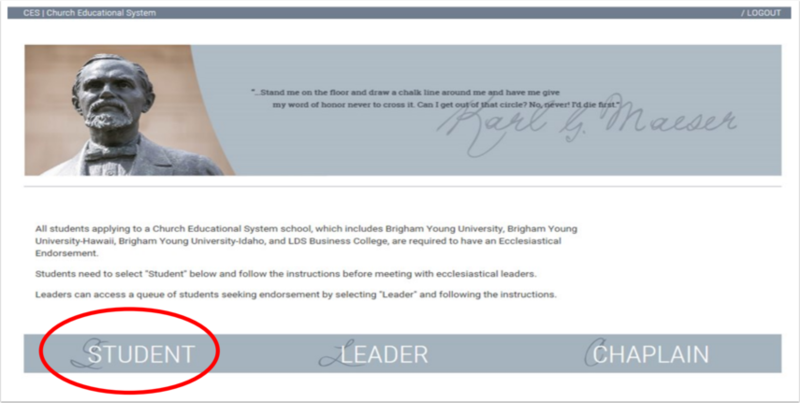 Students applying to BYU-Idaho must receive an ecclesiastical endorsement from their bishop or branch president, as well as a member of their stake presidency. To begin the endorsement process, go to Part 3 on the BeSmart application. Select “Click here to begin the endorsement process.” Once at the endorsement website, follow the below 7-step process to complete the applicant portion of the ecclesiastical endorsement. Once complete, applicants must schedule interviews with the bishop/branch president, as well as a member of the stake presidency. *Select the Student tab option on the bottom of the page. *Select Applicant option underneath the Student tab. *Select the blue link under the Applicant option. *Read through the Honor Code Statement. 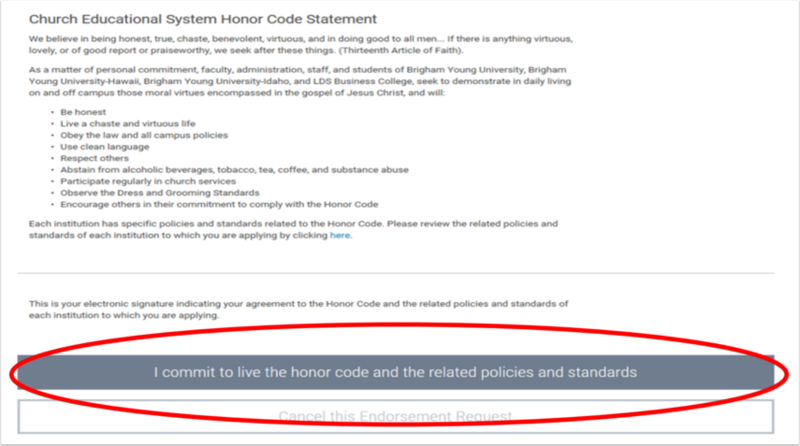 Once you are ready, click the blue button at the bottom indicating that you agree to live the Honor Code. *Type in your ward name in the Unit Name Field, and select search. 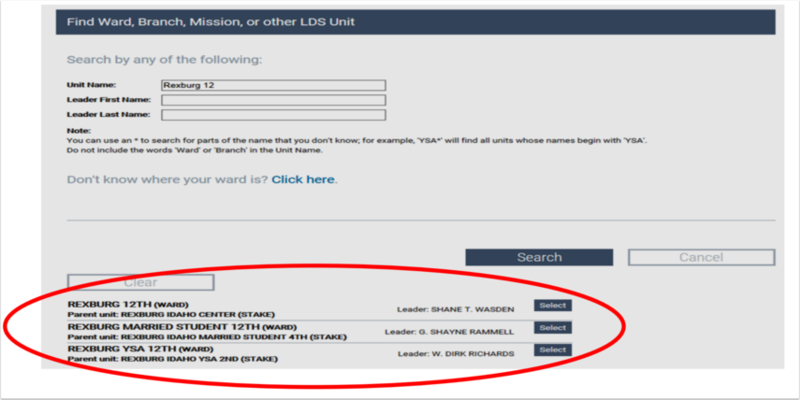 * Find your ward and leader from the list, and Select the appropriate option. * Print off instructions to take to your bishop and a member of the stake presidency.